It’s a major purchase and no matter what stage of life you’re in, or whether you’re looking for new or previously owned, buying a car will always involve making some important decisions. According to Consumer Reports, there are several factors car buyers should consider when looking for a vehicle. We’ve isolated four key points to help you navigate the car-buying experience. Investigate the models and the costs of the vehicles you’re interested in before you go to the car lot. 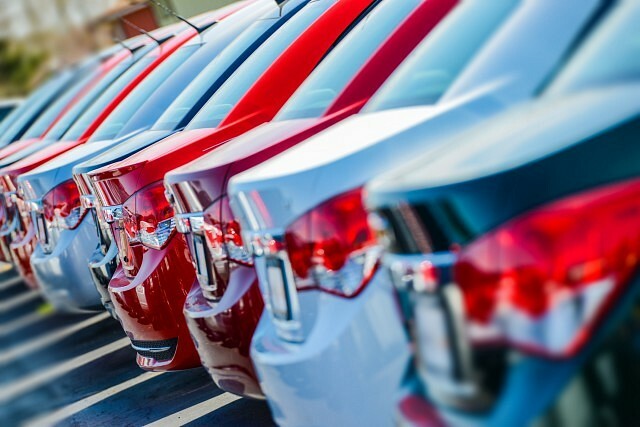 This is especially important with used vehicles as prices can vary depending on who is selling the vehicle, what condition the vehicle is in, how many kilometers are on it and where the vehicle is for sale. Car buyers planning to finance their purchase should consider setting up a loan in advance. Not only does this create a budget you can stick to, but also creates an environment that allows you to negotiate rates that can save money long term. Many car buyers trade-in old vehicles to secure a discount on a newer vehicle they’ve decided to purchase. Get an idea of what your trade in is worth before discussing its value at the bargaining table. Resources like the Canadian Black Book of Cars, the Kelley Blue Book and car buying websites like Autotrader can help determine a ball park range for the value of your trade in. When it’s time to make a purchase, only discuss the value of your trade in after the price of the new vehicle has been settled. This can help maximize the discount you’ll receive on the price of your new vehicle. Comparison shop and know the “real” price of the vehicle before you sign. Have an idea of what you’re willing to pay for a vehicle you intend to buy. Comparison shop with multiple dealers and when negotiating cost, it’s always best to negotiate based on the bottom line price and not what the monthly payments will be. Many car buyers don’t factor insurance into their search until later, when they’ve arrived at a purchase decision. Checking with your insurer at the beginning of your search can save you time, money and help guide you to a vehicle you’ll be happy with long term. Myth: A newer or luxury vehicle is more expensive to insure than an older or economy model. In some cases, a newer or luxury vehicle will actually be less expensive to insure than an older or more moderately priced one. Many new or high end vehicles are equipped with advanced technology that can assist drivers on the road, and come with safety features that provides more protection for passengers from injury in the event of a collision. A vehicle not equipped with these safety features may be easier to repair, but will not provide the same level of protection to passengers. Myth: The colour of the vehicle affects your cost of insurance. The belief still persists that certain colour vehicles (most notably red) cost more to insure. The car’s colour has no bearing on the cost of insurance. Paint colour has nothing to do with the insurance premium. So if you want that red car, go ahead and buy it! Being prepared when it’s time to purchase a car can save time, money, and ensure the experience has a minimum amount of stress. Interested in learning more? Call the Walker Road Allstate Agency at 519-969-4466, or better yet, feel free to stop by the office. For more helpful tips and information, visit the GOOD HANDS blog at goodhandsadvice.ca.